I refer to the press release by the President of Bar Council regarding the appointments of members of the Judicial Appointments Commission (JAC) issued on September 21, 2018. I too congratulate the four new appointees. However, their appointments should not be seen as, for the first time since the establishment of the JAC, people of integrity, independence, wisdom, fairness, learned and so on are appointed members of the JAC while all previous members were a complete opposite who did not deserve to be appointed at all. Secondly, their suitability is premised on one’s own view of their views on certain issues. If their views coincide with yours, you say they are suitable. It is a matter of opinion, after all. 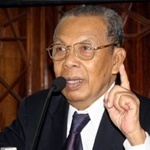 It is suggested that the four “eminent persons” should be selected from the Attorney General’s Chambers, Bar Council, Advocates and Solicitors of Sarawak, Sabah Law Society, academia and civil society. Taking the Attorney General (AG) first, I remember views were expressed by members of the bar (it could even be the Bar Council. I stand corrected) that the “AG should not be the head of the Judicial and Legal service” because it is not fair to the opposite party when the AG or his officers appear in the Magistrate’s or Sessions Court. That is because there is a possibility that the Magistrate or the Sessions Court Judge might feel obliged to lean in their favour. The reason, it is argued, is that Magistrates and Sessions Court Judges might fear that their promotions would be jeopardised if they displease the AG or his officers. In fact, there is a fallacy in that argument. The AG is not the head of Judicial and Legal Service (JLC). Since he is a member of the service and he is the most senior, his name appears first on the list of officers. Confidential reports of Magistrates and Sessions Court Judges are written by the Chief Registrar of the Federal Court. In any event, the effect of the proposal is to extend the “evil” attributed to the AG “as head of JLC” to the appointments of Judicial Commissioners, judges of the High Court, Court of Appeal, Federal Court, Chief Judge (Malaya), Chief Judge (Sabah) and (Sarawak) and President of the Court of Appeal. Going by the same argument, they too might lean in favour of the AG and his officers when they appear before all those judges since AG has a say in their appointments and promotions. I do not say that such a thing would happen. All I say is, that is the effect of applying the same argument. Regarding the appointment of practising lawyers, it could also be argued that when they appear in court, any court, they have an advantage over lawyers for the opposite party or, at least, their clients and the opponents’ clients might think so even if they (members of JAC) do not use their positions to promote themselves. Even if they do not appear in court, lawyers from their firms do. The same argument could be extended. The proposal could be considered if, during the period of their appointments, their firms totally cease to do civil or criminal cases, and the lawyers from their firms cease to appear in court altogether. Are they willing? Academia are welcome. However, they have be to from the law faculties because I consider it as a pre-condition to judge the judges that they read the judges’ judgments and are able to evaluate them. Otherwise, they would only depend on newspaper reports of their decisions, i.e. the outcome of the cases. If they like the decisions of some judges, they say those judges are good without even knowing the quality and the correctness of their judgments in law and on the facts. In judging judges, it is their judgments that matter, not the decisions or the outcome of the cases. I do not agree that activists be appointed as members of the JAC. They have a fixed, one tract mind, an agenda to achieve. They will not be able to give a fair and balanced consideration. People to judge judges must be fair themselves. In any event, if you do not know the job, you should not be judging the people who do it.